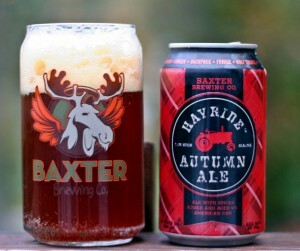 Seems like a lot of brewers are introducing rye based beers so it was no surprise when Baxter Brewing announced their Fall seasonal would be a rye ale. What was surprising was just how tasty this beer is. Baxter’s beers have been hit or miss for me with Stowaway IPA being my favorite before this release. The Hayride Autumn Ale pours a nice deep amber almost brown color with a thick off white head. You get lots of rye and spice in the aroma, not really picking up any of the oak. Taste has a lot going on with the rye malts front and center but still plenty of spices, some hops and a bit of oak does come through. Really nice beer from Baxter, hoping their Winter seasonal will be as good as this one was. 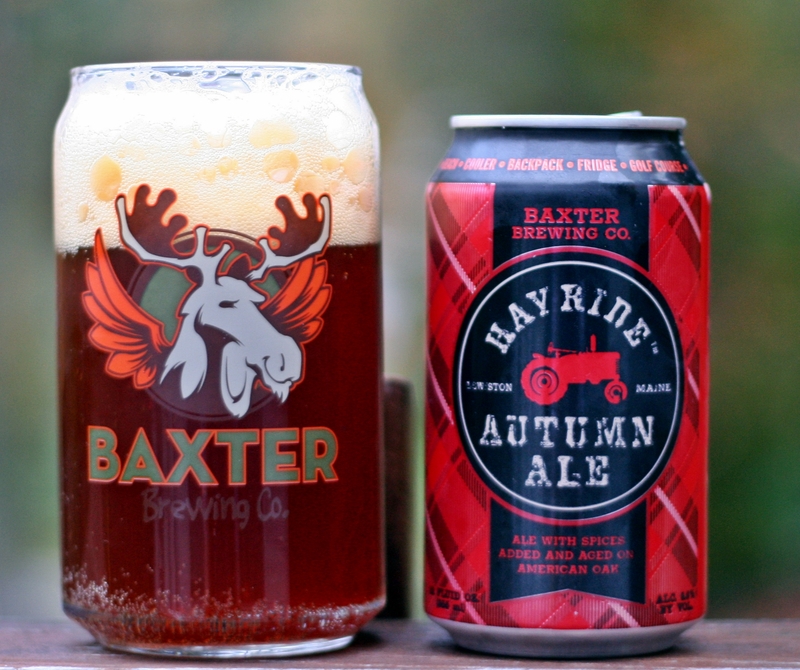 Brewers Description: As days get shorter and sleeves get longer, Baxter Brewing releases its fall seasonal, Hayride Autumn Ale. A generous portion of two rye malts give the beer a full body, bready flavor, and subtle spiciness; while toasted malts provide a touch of sweetness and a rich, almost reddish hue. New Zealand Pacifica and Pacific Jade hops balance Hayride’s maltiness and suggest notes of oranges and tropical fruit. Finally, we cold-condition the beer on oak, with light additions of ginger, black pepper, and orange peel, bringing out the spiciness of the rye and rounding out the soft sweetness of the beer. Hayride will give a touch of warmth for those cool fall nights, while remaining deliciously drinkable. Try pairing this autumn brew with stews, beef roasts, pork chops, stuffed squash, carrot cake, and, of course, pumpkin pie!